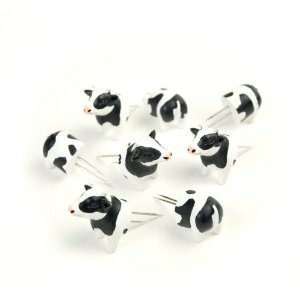 8-piece Cow Corn Holders from Charcoal Companion put the fun into eating corn off the cob. Corn holders make four cows, the moo end and the swish end joined by the corn in the middle. 4 sets, made of poly-resin with stainless steel prongs to hold corn securely. What a great gift!